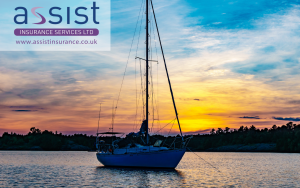 Some sailing and yachting clubs offer sailing facilities and racing all year round, but if you’re not intending to sail during the winter, then now’s the time to prepare your sailing boat for the colder and potentially stormy weather. Of course, this varies greatly according to the type of sailing boat you have, but here are some general tips. Wash the sails in fresh water and allow them to dry. This removes salt and dirt (which attract and prolong the presence of moisture on the sails) and helps prevent mildew. 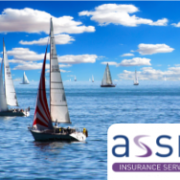 Treating your sails well helps to prolong their life, keeping them crisp and in a good condition. Store your sails somewhere dry and well-ventilated over the winter. Remove sheets, ropes and control lines. Rinse them in fresh water and ensure they are dry before putting them into storage. In the cabin, open all cupboard doors to encourage airflow through the cabin. Remove all cushions, towels, blankets, etc to protect them and the cabin from condensation. Below deck, check the bilges are empty and dry and drain the fresh water tank. If your sailing boat also has an engine, then run the engine to warm it up, switch it off and drain the oil. Refill the engine with new oil and replace the filter to help prevent engine corrosion. Top up the fuel tank with fuel, to prevent condensation build-up in the fuel system and corrosion. Spray the engine electrics with WD40. Disconnect the boat batteries and store them in a warm, dry place for the winter. Drain the water-cooling system and replace with marine-grade antifreeze, which is non-toxic. Remove burgees from sailing dinghies and remove bungs to improve ventilation and allow water to drain out if necessary. Removing bungs from buoyancy tanks helps to maintain airflow and avoid damage caused by air expansion. 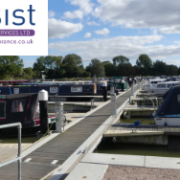 If you’re not storing your sailing boat in a boat shed or garage, but leaving it in a berth at a sailing club, ensure that the cover is secure, the trailer and/or launching trolley tyres are correctly inflated and most importantly, that the boat is tied down securely. 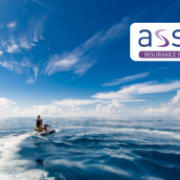 This reduces the risk of damage to your boat as well as others, if there are high winds. 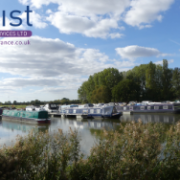 Check your boat every few weeks if you can, or after particularly stormy weather. 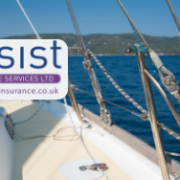 If you have questions about our sailing boat insurance policies then please call the Assist Insurance customer service team on 01604 946 722. 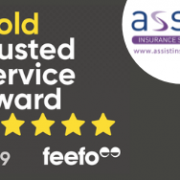 Follow us on Facebook, Twitter and LinkedIn or have a look through our website for more tips.